It is amazing the functional yet beautifully ornamented knives and weaponry that was produced throughout history in India. 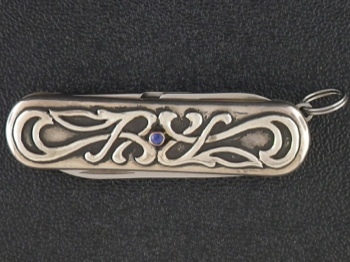 This knife is an example of an overlay art that one can feel the raised sterling silver embellishment on the metal casing. 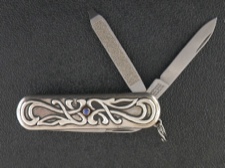 The blades are stainless steel made by Victorinox, the Swiss army knife company. 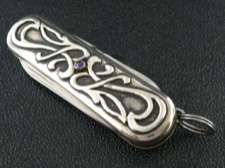 There are two tiny sapphires set in 23 karat gold in the center of the case on both sides. 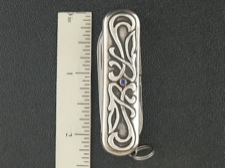 One of my personal favorites!